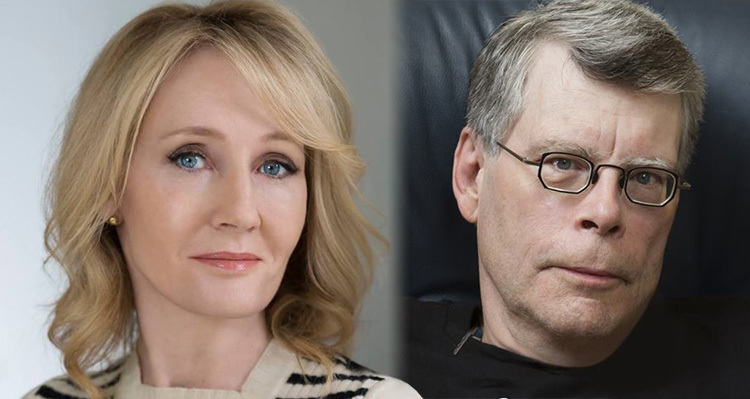 Never ones to shy away from mocking Trump – Stephen King and J.K. Rowling form an occasional Twitter alliance as each of them continue their long-standing individual battles against him. British novelist, screenwriter, and film producer J.K. Rowling and horror writer Stephen King have taken to teaming up on Twitter to voice their opposition to his presidency regime. Most recently, King retweeted one of Rowling’s tweets responding to part one of a two part tweet by Trump about the NFL. “If a player wants the privilege of making millions of dollars in the NFL,or other leagues, he or she should not be allowed to disrespect our Great American Flag (or Country) and should stand for the National Anthem. If not, YOU’RE FIRED. Find something else to do!” he tweeted. According to the NY Times, N. Korea asks Repubs for help figuring out Doanld Trump. Repubs respond, "We were going to ask you." The two of them also teamed up in May 2017 when Trump blocked King from interacting with his Twitter account. Rowling responded to King a couple of minutes later, promising to “direct message” him Trump’s tweets. While the two of them have been actively voicing their opinion about Trump for a long time, they have not always taken the same path in doing so. For example, in May 2016, King joined hundreds of other writers to pen “An open letter to the American people,” ripping Donald Trump to shreds. Other signatories to the letter included names such as Junot Diaz, Cheryl Strayed, and Dave Eggers. “If you seek the removal of freedoms from an opponent simply on the grounds that they have offended you, you have crossed a line to stand alongside tyrants who imprison, torture and kill on exactly the same justifications,” she added.